We are proud to announce free parking with approved ticket purchase for all Wolf Creek Amphitheater events! Carpooling is still encouraged and recommended for an easier transit experience. Please see below for our parking locations. 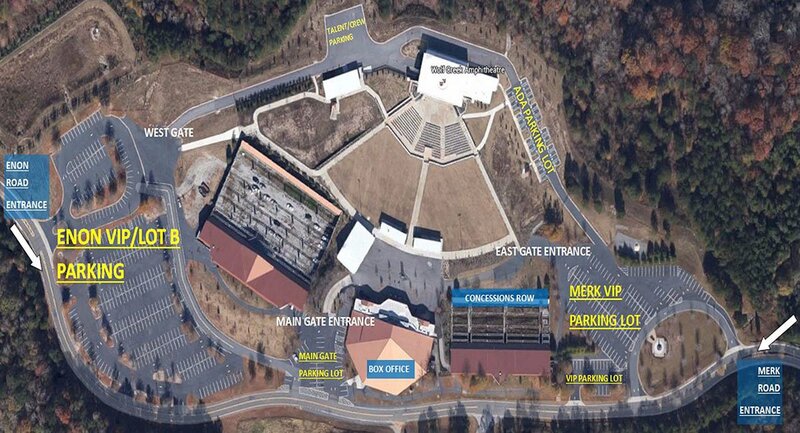 Shuttle service is available for transit to/from the overflow lots. Oversized coolers are not allowed on shuttles or inside of the amphitheater. Please refer to our rules and regulations for more info.